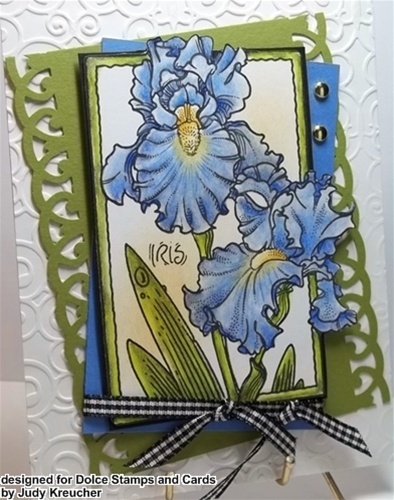 If you love to color flowers then this Iris is for you. Iris come in so many fantastic colors, easily fitting your color preferences for sure. My coloring is gamsol/prisma pencils. Always start with your light colors and build from there. Adding color is easy. Trying to get some off isn't.